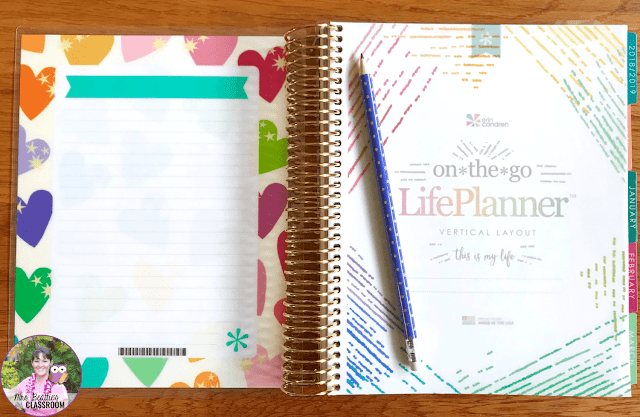 There are many Life Planners on the market these days, but the Erin Condren Life Planner is my favorite, hands-down! 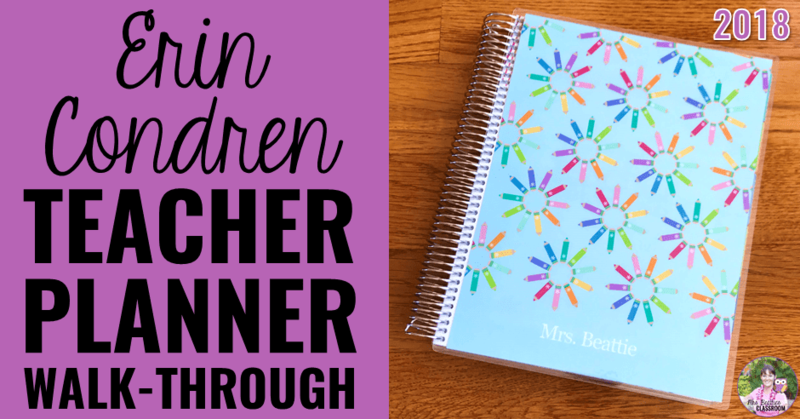 It has all the features I need to run my home life, school life, and TpT business. 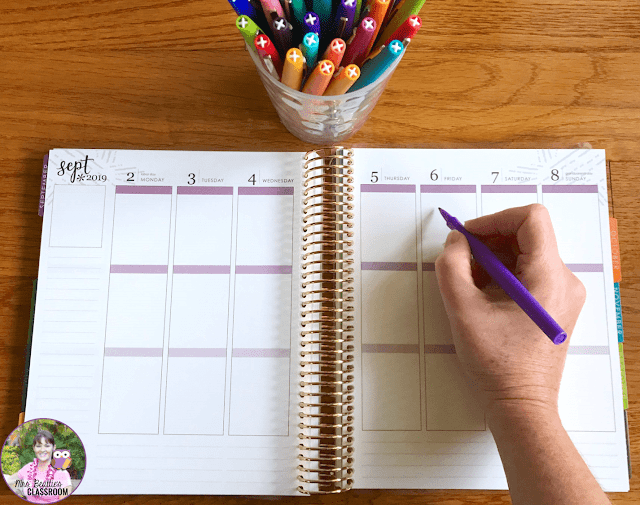 The inside covers of the planner are dry-erase surfaces, perfect for jotting down short-term reminders and ideas, or items that need to be added more permanently to your calendar later. There is a year-at-a-glance calendar section right up front where you can access it quickly. 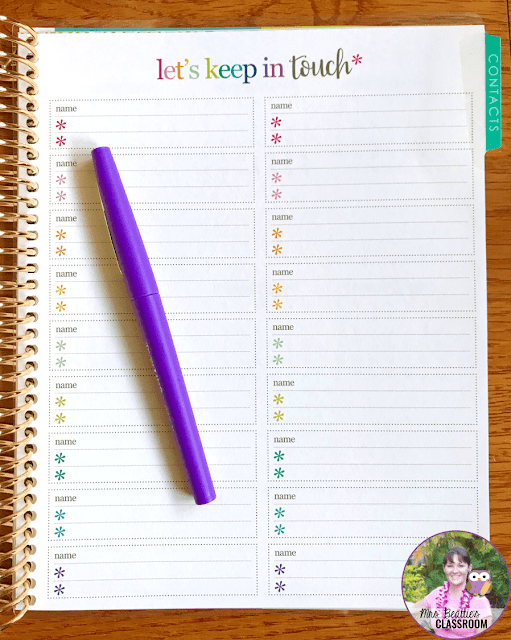 This two-page spread is perfect for setting long-term goals for the year. 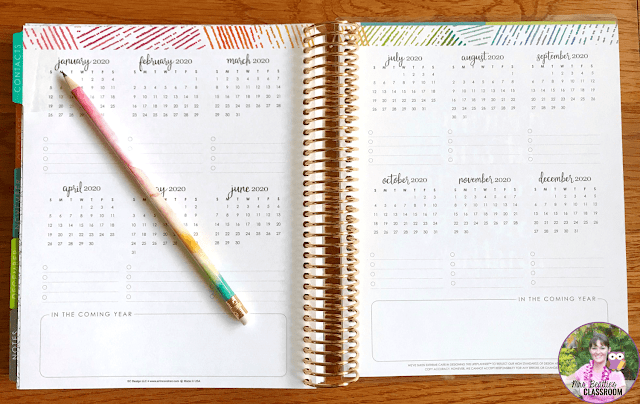 On to the months... behind each tab is a month-at-a-glance calendar with plenty of space for jotting appointments or important events. I've chosen the vertical layout, which has three sections per day. Some people choose to use these for Morning, Day, and Night events and activities. I prefer to split these sections into Home, School, and TpT and Social Media events. The sections aren't labeled, so you're free to use them as you wish. 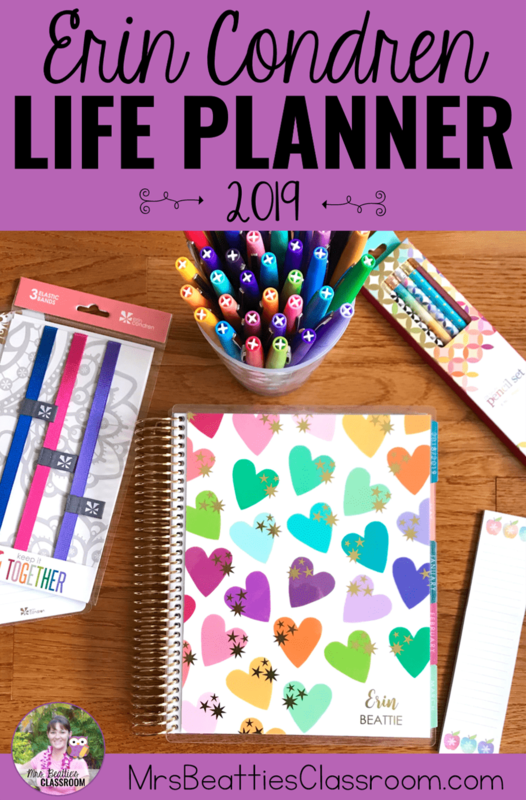 You can also order your Life Planner with a horizontal or hourly layout. I always make great use of the blank notetaking pages at the back of my planner. 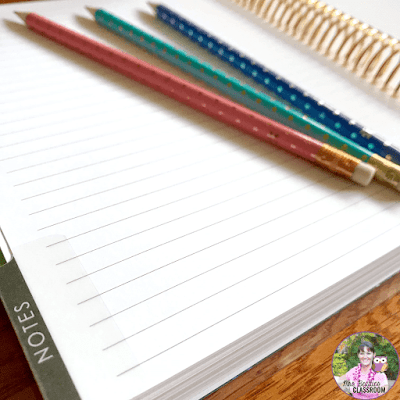 They're perfect for meeting minutes, planning events in more detail, or daily reflection. New this year is the Contacts section. I'm thrilled about this addition! 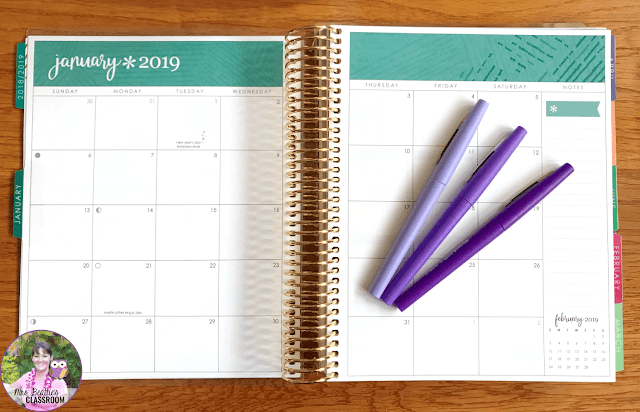 Another new feature this year is this two-page In The Coming Year calendar. 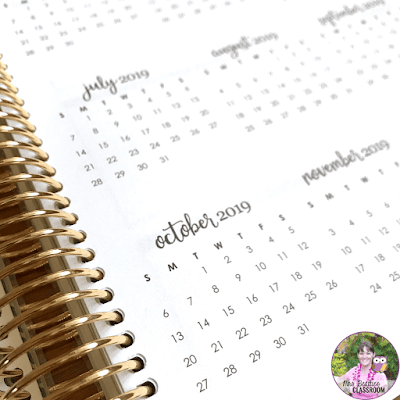 I love that there are just a handful of spots to add appointments and events for the following year. At the back of the book are four pages of stickers including the classics and this awesome page of new ones! 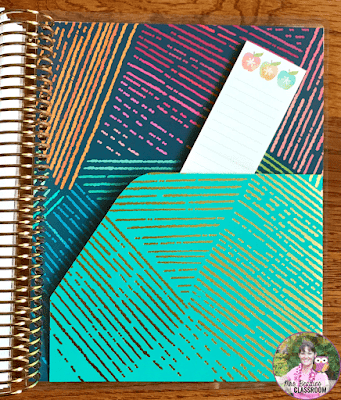 Finally, at the very back of the book is a two-sided heavy-duty pocket. This is the perfect space to hold important documents, tickets, bills, your gratitude journal, and so much more! 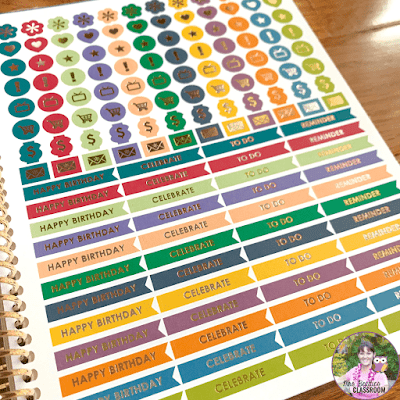 And of course, Erin Condren's perpetual calendar book is always included! 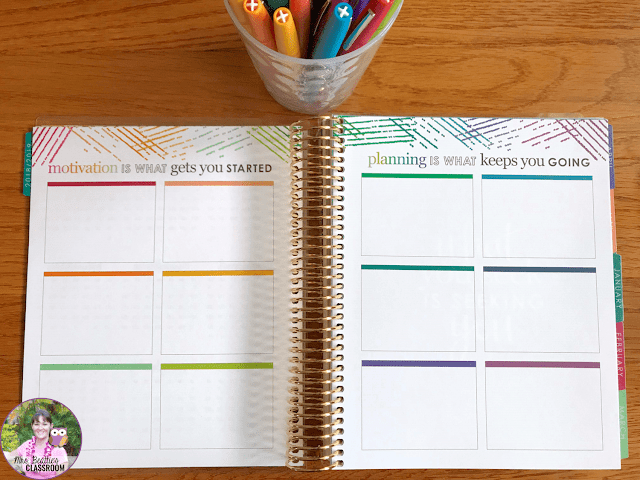 Want to own an Erin Condren Life Planner of your own? 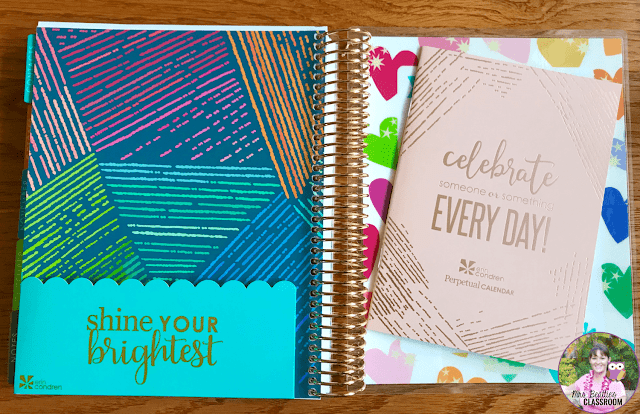 If you're ready to purchase an Erin Condren Life Planner and are a first-time customer, grab $10 off using this link! I love the life in little pieces, so I could make it my own with the pics of my family! Collage! Would love to have family pics all over. I would like the triangle overlay. Thank you! Too many! "Up to you" or "in bloom rose gold"! Oh my gosh, so many choices. The watercolor drops or anything rainbow! 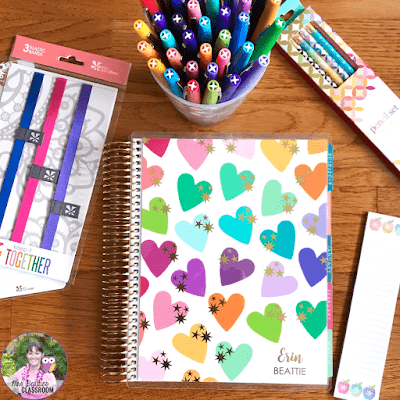 I love the hearts planner. The Cactus Cover!! Thank you Erin!! Keep dreaming gold metallic is lovely! I love the Floral Festival Oh Joy! It is beautiful. After years of being home, I started teaching again. I love all the designs and the fact that I can keep it all in one place!! I love the daisies cover! Looks like a great planner. It would be difficult to decide between the 5X7 and the 8X10. I need to get my life on track desperately as I always feel I am at least 20 steps behind. I really like any of the ones where there can be an inspirational quote. I like the holiday wreath - LifePlanner so cute! 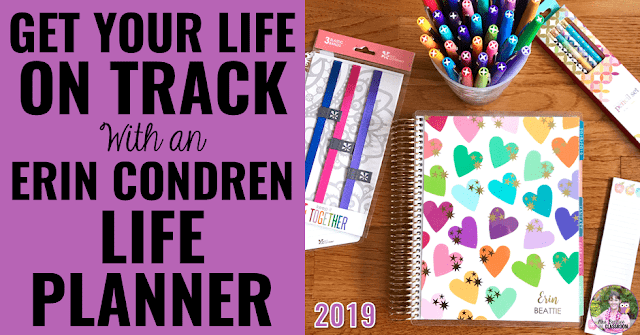 The Teach Life Planner looks right up my alley! 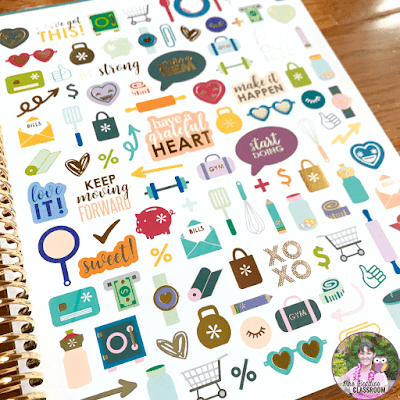 The collage life planner is what I want!!!! Stop many beautiful choices. 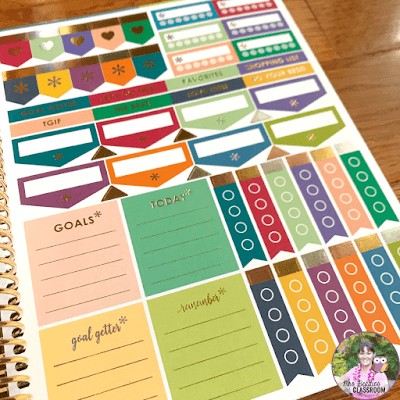 I would love an organized planner like this!